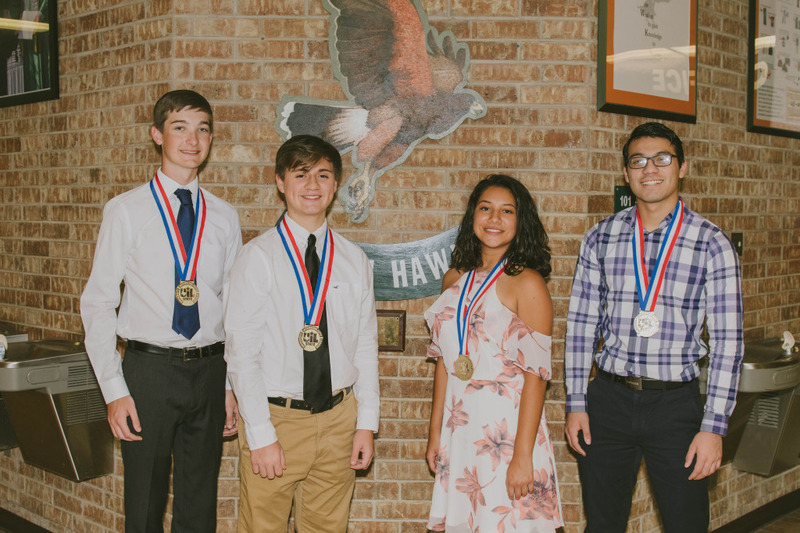 Four Harlingen High School South musicians were recognized by the University Interscholastic League as some Outstanding Performers at the 2017 Texas State Solo-Ensemble Contest held May 27-29. Jerry Lefner, Senior, performed A Cricket Sang and Set The Sun by B. Tyson on marimba. Seth Keele, Sophomore, performed Ich Liebe Dich by L.V. Beethoven. Adonai Martinez, Sophomore, performed Du Bist Die Ruh by F. Schubert. Of the approximately 100,000 students participating in the regional UIL music contests and the 25,000 musicians who performed at TSSEC, only two to three percent of the solo performances earned the distinguished honor of being recognized as an Outstanding Performer. This achievement is a mark of musical excellence.